Price: $33,900 - One owner, 13000+ miles! Welcome to THE VETTE NET. Our company is a nationwide and international Corvette Brokerage Network and also a proud Lifetime Business Member of the National Corvette Museum. Please take a few moments to view this magnificant, low mileage Grand Sport. This car has been maintained and pampered by its one Texas owner and it is in excellent condition. The Cyber Grey paint presents strong visual appeal complimented by the light grey and charcoal interior. 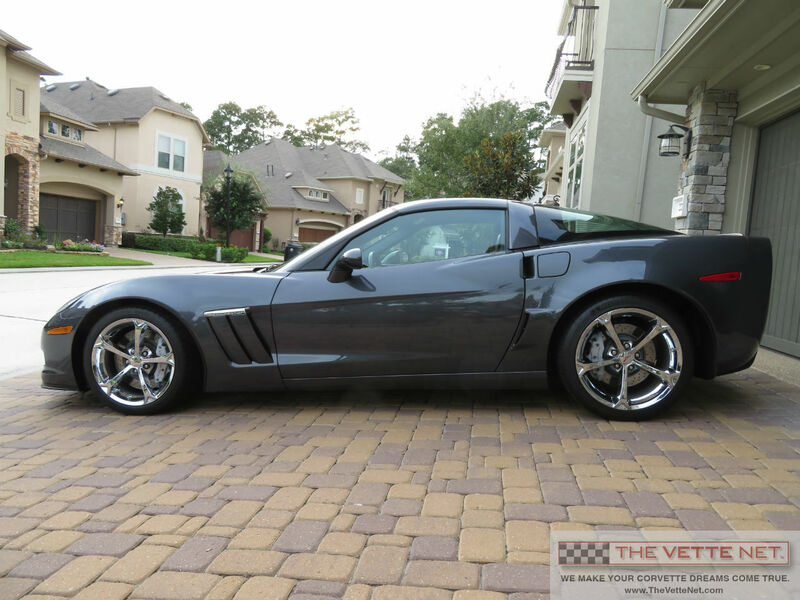 Grand Sport Coupe, please call Michael at: Toll free, 833-68V-ETTE, cell 281-455-8400 or by e-mail at Michael@TheVetteNet.com. No matter where you live, delivery can be arranged anywhere worldwide at a reasonable cost. Inspections by qualified Corvette enthusiasts can also be scheduled. THE VETTE NET is a nationwide Corvette brokerage network and proud Lifetime Business Member of the National Corvette Museum. We started our unique online Corvette broker business in 1998. THE VETTE NET has established itself as the premier source for buying and selling Corvettes with thousands of enthusiasts assisted worldwide. We are fellow Corvette Club members and we drive Vettes. We live the life-style and enjoy the hobby. Our motto is under commit and over deliver and we guarantee a pleasant and straightforward experience. Do you have a Vette for sale?� If yes, you may want to take advantage of our unique FREE marketing program with no contract.� � Click here to submit your Corvette for sale.